For over 60 years, KETTLER has developed and manufactured products for children and young people. The Logo desk series distinguishes itself by the variety of possibilities for individual creation. With multiple colored side panels and accessories, each piece of furniture can be easily adapted to any room-style and taste. All models are height-adjustable, thus becoming a loyal companion throughout the years. The ergonomic design of our office furniture is critically important to us. 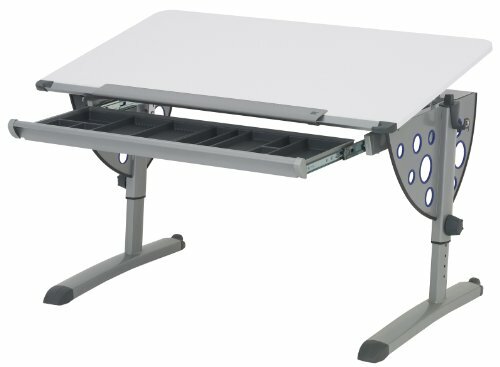 Every Logo desk can be individually adjusted to provide support throughout a child's growth. With the KETTLER brand, you can also count on safety and quality products. Made in Germany, the Logo series of desks are as durable as they are functional and undergo strict quality and safety checks from conception, through development and production.